Thankfully for this reporter’s legs, Saturday’s selected lineup went down mostly on the Lands End and Sutro stages, which are much easier to travel between than the far off Twin Peaks and Panhandle stages. Though we unfortunately couldn’t catch some of the pop and electronic acts at the other side of the park like A-Trak, MS MR, Matt & Kim, Dillon Francis, and headliner Kaskade, we managed to take in a day of new faces and old pros alike. Fishbone welcomed us into the park, getting the crowd of onlookers slowly filling up the Golden Gate Polo Fields on their feet (sometimes by force, as frontman Angelo Moore good-naturedly swore at someone posted up on a picnic blanket near the front, getting them to join the dancing promptly). After breezing through the crowds on the Polo Field, we stopped by Kara’s Cupcakes in Chocolate Lands (selections included s’mores, red velvet, and lemon meringue) and then buzzed by Beer Lands before heading to the Sutro stage for Kurt Vile & the Violators. Vile’s latest album Wakin’ on a Pretty Daze is a often spun around the Indy arts offices, and his live set did it full justice. Though getting a glimpse of Vile’s face can be difficult through his Spinal Tap caliber head of hair, his voice had no problem getting out there – good renditions of Pretty Daze’s hits, and plenty of material from previous solo albums added up to a solid, enjoyable set. Next up on the Lands End stage: British rockers Foals, whose radio-ready prog/alt rock is far more interesting than some of the indie acts getting airtime at the moment. Their energetic set, led by frontman Yannis Philippakis, was both ear-pleasing and upbeat, thought not without bite – their current top hit and closing number, “Inhaler,” is a particularly edgy tune, with a heavy guitar line that elicited plenty of rapid head-and-neck movement and crowdsurfing from the audience. Over on the Sutro stage, the younger alt-folk generation reigned supreme again, as Dawes broke out electric guitars for a refreshingly fun set vastly more entertaining than the majority of their recorded works. An active stage presence by frontman Taylor Goldsmith managed to break Dawes’ live act free from the fetters of banality that currently plague popular Americana acts like Mumford & Sons and The Lumineers. The set peaked at crowd favorite “When My Time Comes,” and continued strongly through “Time Spent In Los Angeles” and more. And then, before we knew it, the festival was at an end. But Golden Gate Park had one more act to offer, and it wasn’t one to miss. With electro artist Kaskade set to perform on the Twin Peaks stage, The Red Hot Chili Peppers stormed onto Lands End (according to a coworker watching from the media tent’s balcony, bassist Flea was running laps backstage beforehand) in a triumphant wave of guitar and drums. 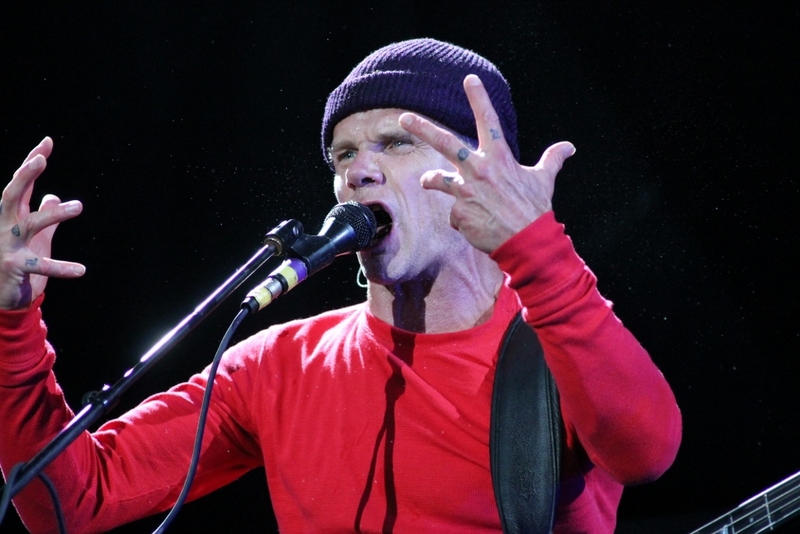 The Chili Peppers kept it old school, for the most part, touching all the bases from their hit albums from the ’90s and early 2000s, including their hard-rocking cover of Stevie Wonder’s “Higher Ground” and tossing in newer material from 2011’s I’m With You. Lead singer Anthony Kiedis was in fine form onstage, joking about his mustache resembling John Oates’, while Flea went absolutely mad onstage (apparently the pre-show run didn’t tire him out at all), bouncing from one end to the next, jumping and shredding away. Only downside: they ended five minutes early, with a good but almost anti-climactic rendition of “Give it Away” that left the audience expecting a final encore – but when the lights and offstage music returned, it was clear that RHCP had nothing left to give. Still, after three days of nearly non-stop music, Outside Lands had delivered plenty – of the bands we caught, there wasn’t a single bad set, musically, and the huge-name list of headliners is sure to keep crowds coming back next year for more.